Onion is one of most commonly used vegetables in Indian and the whole world. It is also known as bulb onion or common onion and belongs to the species of genus Allium with its close relatives garlic, chive, Chinese onion and leek. In Indian, we most see types of onions, white and red, but there are actually many variation found in this vegetable. It is a biennial or a perennial plant, however, it is grown annually in most places. 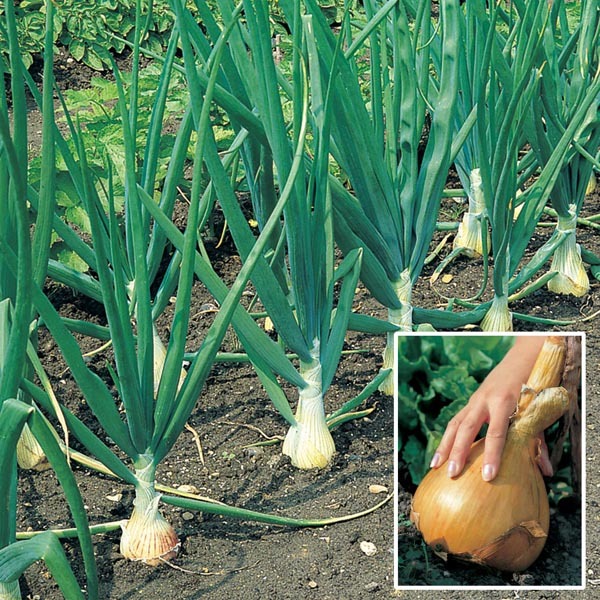 You can easily get onion seeds online from various agriculture apps and grow it easily at large or small scale. The other species include Japanese bunching onion (Allium fistulosum), Canada onion (Allium Canadense) and the tree onion (A. xproliferum). With these many varieties, this vegetable becomes very easy to grow and gets the farmers a handsome price in markets as well, that’s why, it is also grown in abundance. It is part of every cuisine in the world and in India, it is used in almost every dish in many ways. If you want to get onion seeds, buy online from Farm Key app which brings you the best seed providers such as Onion Prerna and Prema. Particularly in India, it is eaten raw as well as a salad and it can be prepared in every other manner such as roasting, frying or baking. It is also used in making pickles or chutneys for its pungent taste. In Indian kitchen, onion is essential and whenever its price soared high, it has caused quite uproar nationwide. Onion seeds company in India are also doing very well in providing genuine quality products to our farmers. The origin of this vegetable is actually unknown, but records suggest its early usage in western and eastern Asia. It has been used for thousands of years in Chinese, Persian and Egyptian cuisine. Even the findings from Bronze Age in China suggest that it has been used since 5000 BCE not only for various beliefs. Given its spherical shape and concentric rings, onion was considered a symbol of eternal life in ancient Egypt. If you want to buy onion seeds online, then do it from Farm Key, an agriculture app which gives great range of options when it comes to seeds of various other vegetables including onion. Buy onion seeds online India and premium quality seeds at your doorsteps from farmer app. This app ensures that you get nothing but the best and your crop gives you profits that you have never expected. Onions are now grown everywhere, but Indian is the second largest producer of this vegetable. Our farmers can earn plenty of profits and benefits using the quality seeds from this app and growing the best onions. Farm Key helps our Indian farmers in growing the best quality yield which gets them great price in the markets. With a wholesome crop of onion, they be earn a handsome amount and lead a better life. The aim of this app is to make the lives of our farmers better and giving them all the advantages that they deserve. If they buy seeds from this app, they would never get disappointed and every yield will bring lots of profits to them.